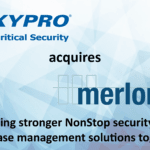 Merlon Software, a division of XYPRO Technology, is the leading provider of modern, powerful and easy-to-use database management software for HPE NonStop servers. Merlon products increase DBA productivity, reduce complexity and maximize investment of the highly available, fault-tolerant NonStop servers. 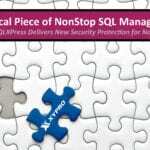 SQLXPress is a graphical database management solution that enables users to connect and manage a NonStop database. MARS examines NSK database files on a regular basis to determine whether they need to be reloaded for optimal performance and disk space consumption. Discover is designed to reduce storage management costs, and to reduce the risk of unplanned application outages due to disk resource problems. Partner works by examining the records in a file partition and grouping them according to their primary key values. Data is the lifeblood of mission-critical applications, and HPE NonStop customers rely on the powerful capabilities of NonStop databases (both SQL and Enscribe) to store, analyze and manage that data. Accordingly, NonStop customers, large and small, across all the major NonStop industry verticals use and rely on Merlon database management solutions to ensure those databases are well-organized, using efficient queries, and running at peak-performance.